For such a compact and populated city, San Francisco sports a number of green spaces, including the famous Golden Gate Park. Most visitors are surprised by the sheer size of Golden Gate Park, which is 20% larger than New York City’s Central Park, consisting of over 1,017 acres of land. Golden Gate Park is the city’s lungs and is more than just a giant patch of grass destined for picnics and frisbees. 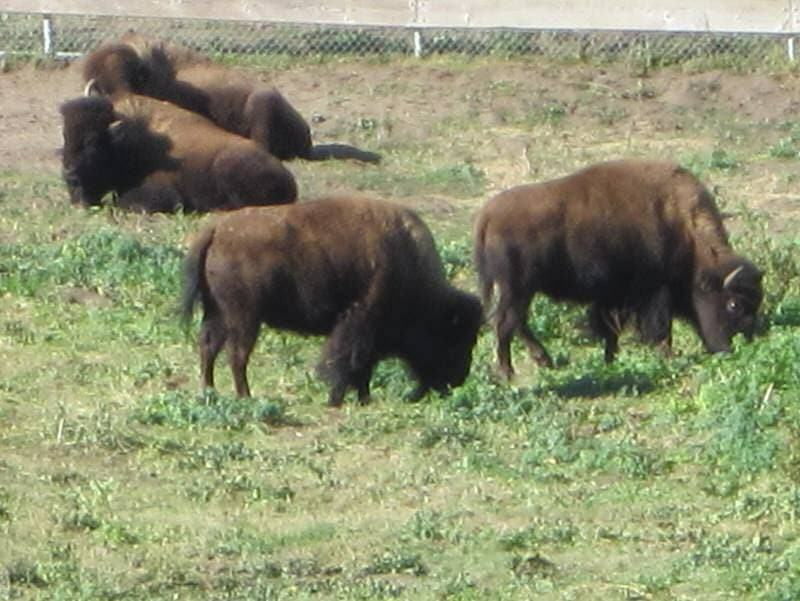 Where else can you see great art, ride a carousel, row a boat, observe American bison, stand in a Chinese pavilion, smell exotic flowers, and sip Japanese tea all in one day? 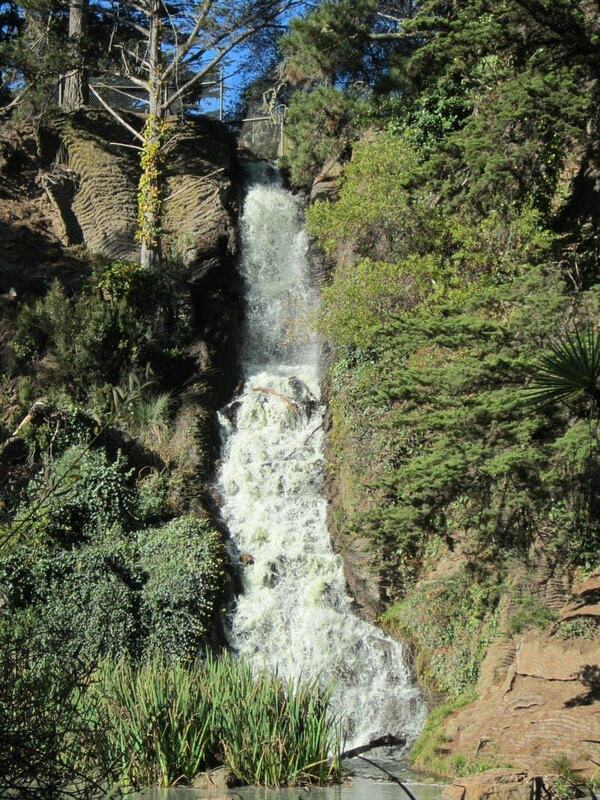 Spending a day in Golden Gate Park is easy, but given all the options, choosing what to do can be difficult! We’ll tell you why a visit to San Francisco should include a visit to this sprawling green space and share 10 things you might consider doing in Golden Gate Park. The land for Golden Gate Park was set aside and deeded to the people in 1870 with the foresight that the city may become overcrowded. However, at that time, the land consisted primarily of sand dunes and was certainly not the most promising land for a park. However, with the help of a number of architects, horticulturists, and superintendents, such as Scotsman John McLaren, this large sandy plot of over 1,000 acres was turned into the leafy green haven that it is today. Golden Gate Park provides a welcome escape from the urban chaos of downtown San Francisco and is visited by millions of people each year. Golden Gate Park is located in the western part of San Francisco in the shape of a rectangle, and is over 3 miles in length and 0.5 miles in width. It is bordered by the Haight-Ashbury, Richmond, and Sunset neighborhoods, as well as Ocean Beach. By car: I would highly recommend taking public transit in San Francisco if you haven’t driven in the city before. If driving, the park is fairly easy to reach by car, but parking can be difficult especially during weekends and events. Time-limited parking can be found along John F. Kennedy Drive, Martin Luther King Jr. Drive, and side streets within the park, but these streets tend to get crowded and are sometimes closed on weekends. Paid parking is also available at the Music Concourse Garage (south entrance at Concourse Drive and Martin Luther King Jr. Drive), which is open daily. Alternate parking is available at Ocean Beach or at the UCSF Medical Center Garage at Irving Street near 3rd Avenue. Public transit: MUNI operates a few buses and street cars that have stops in or near the park. The MUNI #44 O’Shaughnessy bus stops across from the California Academy of Sciences at the Music Concourse on Tea Garden Drive (southbound) and in front of the Academy of Sciences on Music Concourse Drive (northbound). The #5 Fulton stops at 8th Avenue and Fulton Street, just outside the park. The N-Judah Muni Metro streetcar, which is wheelchair-accessible, stops at 9th Avenue and Irving Street. However, note, the above stops are for those wanting to be near the middle of the park, so if you are wanting to get off at a different location in the park, you might want to get off at an earlier or later stop. You can check MUNI schedules here and also plan public transit in San Francisco here. It is free to enter and enjoy the park. However, many of the individual attractions such as the museums and gardens charge admission fees. Here is a list of the major attractions and their hours and fees. Note that most of the museums have a free day once a month which is a great way to save money, but just be aware it will likely be quite crowded. The Japanese Tea Garden has early morning free hours on certain weekdays which is a great deal and comes without the crowds. Food: Golden Gate Park is not really known for its food so unless visiting one of the museums, it may be best to bring a picnic or head outside the park for food. However, you’ll run across a few concession stands in or near the park and several of the museums serve food. The California Academy of Sciences has both a family-friendly cafeteria as well as The Terrace Restaurant which is open for lunch and some late nights. The de Young Museum has a nice cafe that is great for coffee or lunch, and you can get tea and snacks at the tea house at the Japanese Tea Garden. If you are on the West side of the park you can try the Beach Chalet which comes with ocean views and is located above the Visitor’s Center, or eat at Park Chalet located next to the Queen Wilhelmina Tulip Garden. By walking a couple blocks outside the park, you can find just about any type of food. On our last visit to the park, Ethan and I made a stop to the extremely popular Chinese restaurant San Tung Restaurant (1031 Irving Street) which is known for its delicious dry chicken wings and very long lines. Restrooms: There are several free public restrooms available throughout the park. Check the maps posted in the park for the nearest one to you. Restrooms are also located in all the museums for museum patrons and many of the other public buildings. Getting around within the park? You can get around the park by walking, biking, etc. If you are visiting on a weekend or holiday, the Golden Gate Park shuttle is available, stopping at almost all major attractions in the park. The shuttle runs between 9 am and 6 pm – every 15 to 20 minutes. For those visiting with disabilities, you can learn more about accessibility within the park here. For more information, you can visit the Golden Gate Park website or the San Francisco Recreation & Parks website, visit the Golden Gate Park Visitors’ Center on the West end of the park at the Beach Chalet (1000 Great Highway, interesting mural inside), or call the Visitors Center located at the Beach Chalet at (415) 751-2766. 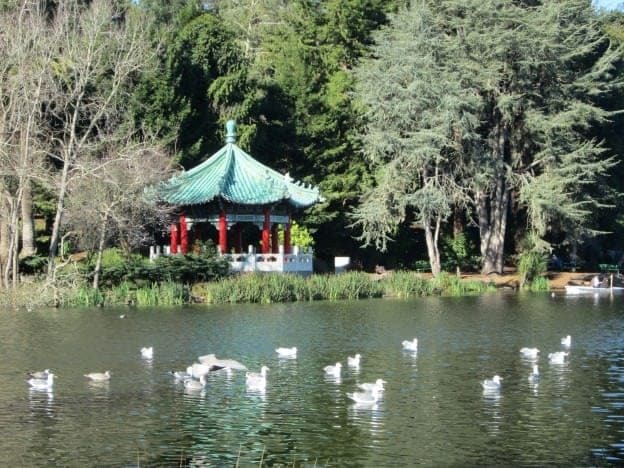 Here is a list of our top 10 ways to spend some time at Golden Gate Park, in no particular order. Combine a few of these together for a memorable day (or two!) in the park. Thanks to the de Young Museum, Golden Gate Park is a go-to spot for fine art lovers in San Francisco. 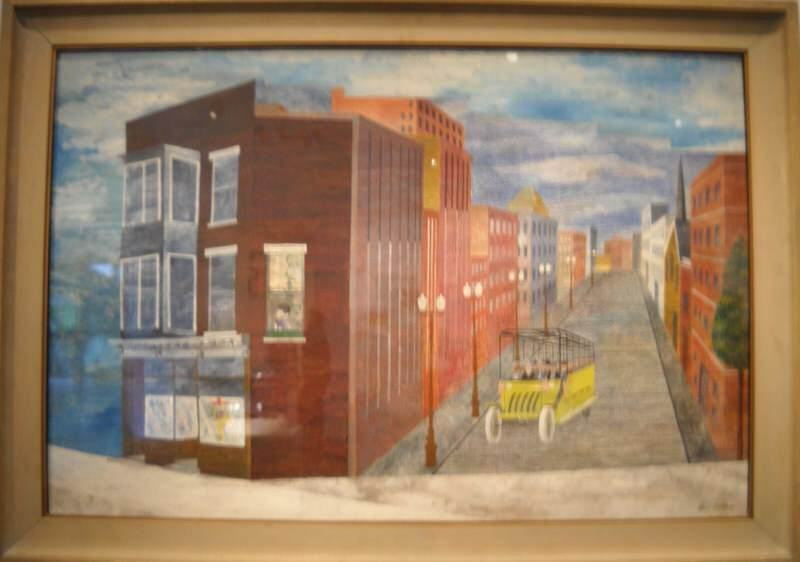 Tracing its origins back to 1894, this is a highly acclaimed and much-visited fine arts museum. The permanent art collection here has a heavy concentration of art from the Americas and hosts diverse grand exhibitions throughout the year. 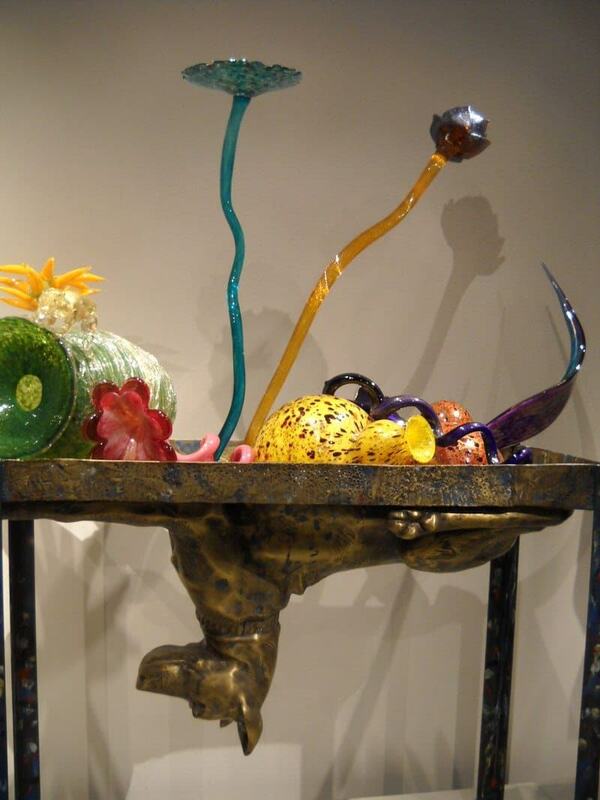 If you’re not the art-loving type, you might still want to make time for a visit. You can skip the museum admission fee and head to the museum’s Hamon Education Tower Observation Deck (open most days until 4:30pm) for dramatic views that include the Golden Gate Bridge or take a break and refuel at the de Young Café. Art isn’t just meant for museums, so don’t forget to keep your eyes open for some of the wonderful outdoor art scattered throughout the park. Want to make your own art? Consider signing up for a class at Sharon Art Studio, which offers an array of art classes for adults and children. Golden Gate Park is a patchwork of hills, lakes, meadows, and gardens, making for a perfect place to relax, sunbathe, read a book, toss a frisbee, or have a picnic. With colorful names like Whiskey Hill, Raccoon Hollow, Heroes Grove, Hippie Hill, and Bunny Meadow, you are sure to find a place that fits your mood. You might want to have a picnic in Hellman’s Meadow, watch people with remote-controlled model boats at Spreckels Lake, take a peak at the flower of San Francisco at Dahlia Garden, or remember the swinging ’60’s at Hippie Hill. 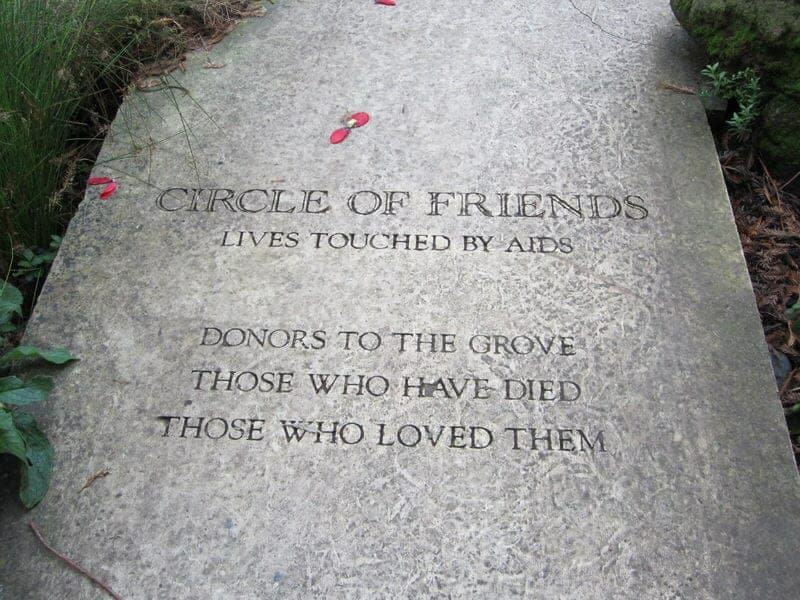 Some of our favorites include sitting along the benches near pretty Stow Lake and Strawberry HIll, taking a thoughtful stroll through the National AIDS Memorial Grove, appreciating the beauty of the Rose Garden during the summer, and sitting in Shakespeare’s Garden which contains flowers and plants mentioned in Shakespeare’s plays and poems. 3. Explore the park on wheels. If you’ve visited Golden Gate Park, you know it’s quite large and it is a long walk from one side to the other. Approximately half a mile north to south and three miles west to east. So exploring the park on wheels, whether by bike, roller skates, skateboard, or Segway, can make a lot of sense as it’ll help you discover more of the park in much less time than on foot. For biking, you can rent a bike to explore the park on your own or take a guided biking tour. If you want a unique experience, you can also take a guided Segway tour with San Francisco Electric Tour Company who operates a kiosk in the park. 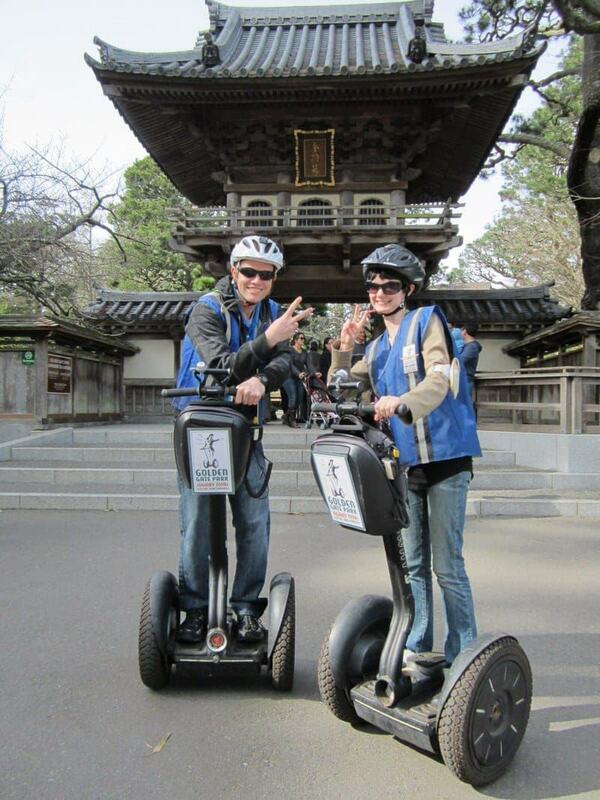 You can read about our own Segway tour in Golden Gate park here. Just note that no matter what you choose, there are certain places that are pedestrian-only, such as certain gardens or paths, so do check the park rules and pay attention to signs. This park is large and has a rich history, and some of the fun is just wandering around and stumbling upon unusual and interesting sights. In addition to interesting people watching, the park offers a bit of everything from a paddock of American bison (west side of park), a 60-foot tall cross (Prayer Book Cross), Dutch windmills (far West side of park), fake waterfalls (Rainbow and Huntington Falls), an albino alligator named Claude (inside California Academy of Sciences), a pioneer log cabin from 1911 (middle section of the park), a Chinese pavillion (near Stow Lake), a hidden wooden fairy door (currently near Japanese Tea Garden), and Japanese pagodas (inside Japanese Tea Garden). A couple of our favorite recent discoveries were using the Rustic and Roman Bridges to cross Stow Lake to the island to visit Strawberry Hill, watching the American bison in the paddock on the Western side of the park who are maintained by the San Francisco Zoo, and doing the short hike near the top of Rainbow Falls to reach the almost hidden 60-foot sandstone Prayer Book Cross. 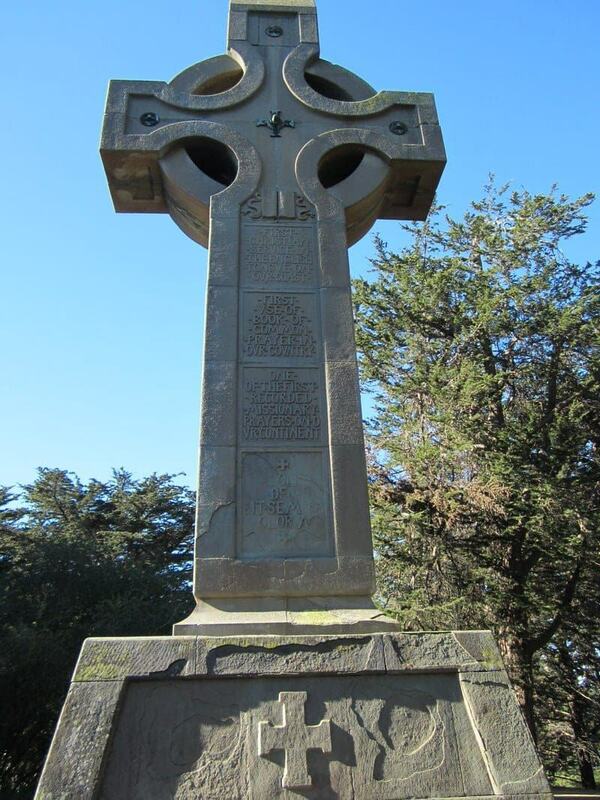 This giant monumental cross was erected in 1894 as a gift from the Church of England to commemorate the first use of the Book of Common Prayer in California by Sir Francis Drake’s chaplain in 1579. 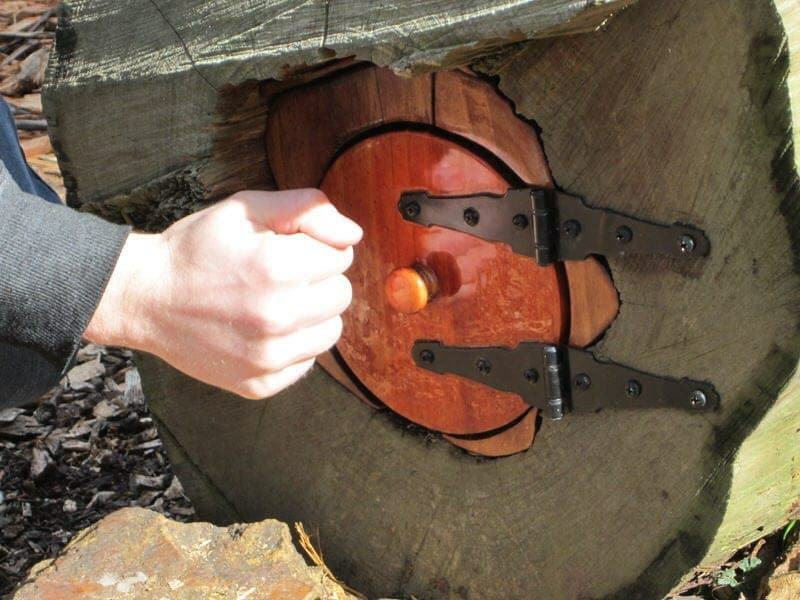 If you are visiting with kids, you might want to do a web search for the cute backstory and current location of the popular wooden fairy door in the Park and go on a scavenger hunt. During our last visit, it was installed on one end of a fallen eucalyptus tree stump not too far from the Japanese Tea Garden. 5. Make a scientific discovery. 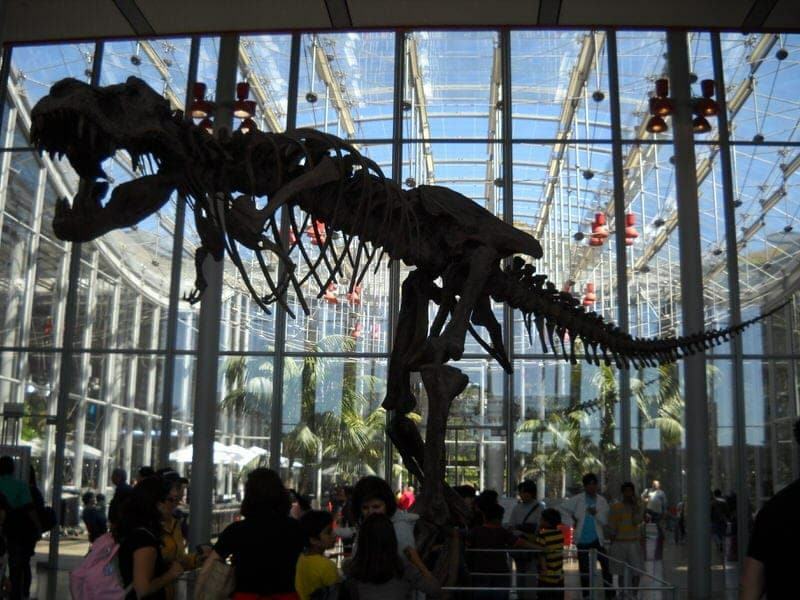 Whether you like fossils, sea life, tropical plants, star gazing, or gemstones, you’ll likely enjoy a visit to the California Academy of Sciences. The large science museum is considered one of the most eco-friendly and green museums in the world with a focus on natural history exhibits. One of the larger exhibits is on rainforests, containing a number of plant and animal species representing rainforests from around the world. The museum also contains both the Morrison Planetarium, largest completely digital planetarium dome in the world, and the Steinhart Aquarium. 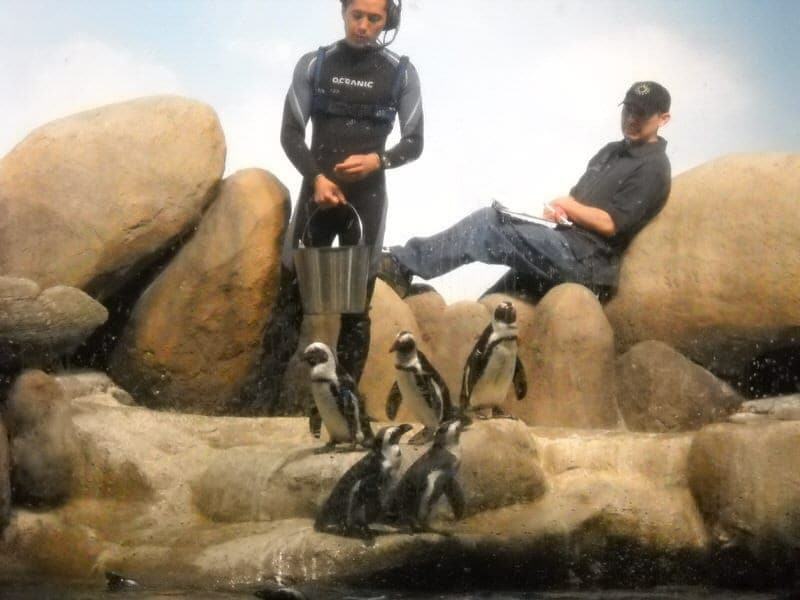 In one visit, you can learn about extinct animals and the Big Bang Theory, see an albino alligator, learn about what causes earthquakes, watch staff feed the African penguins, walk through a rainforest environment, gaze at tropical fish, and watch an educational movie in the very impressive digital planetarium. The museum dishes up plenty of family-friendly fun during the day, and once a week the museum offers late night adults-only cocktail hours to explore the museum. Sleepovers for families and adults-only are also possible. 6. Wake up and smell the flowers. 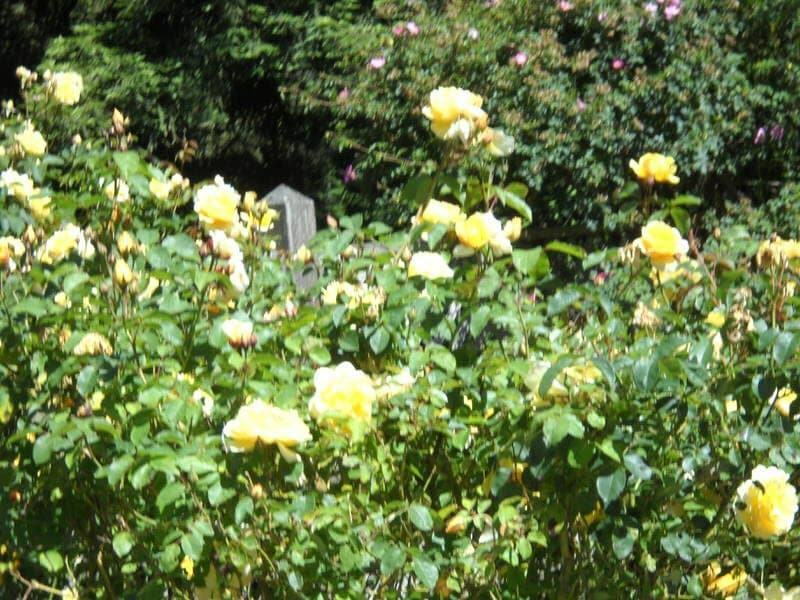 If you love flowers and plants, you may have a hard time figuring out what to visit in Golden Gate Park as there are so many great options. Originally built in 1878, the Conservatory of Flowers is an elaborate Victorian greenhouse that houses a wonderful collection of rare and exotic plants. The flowers are wonderful here, but the historic building itself is also worth checking out. 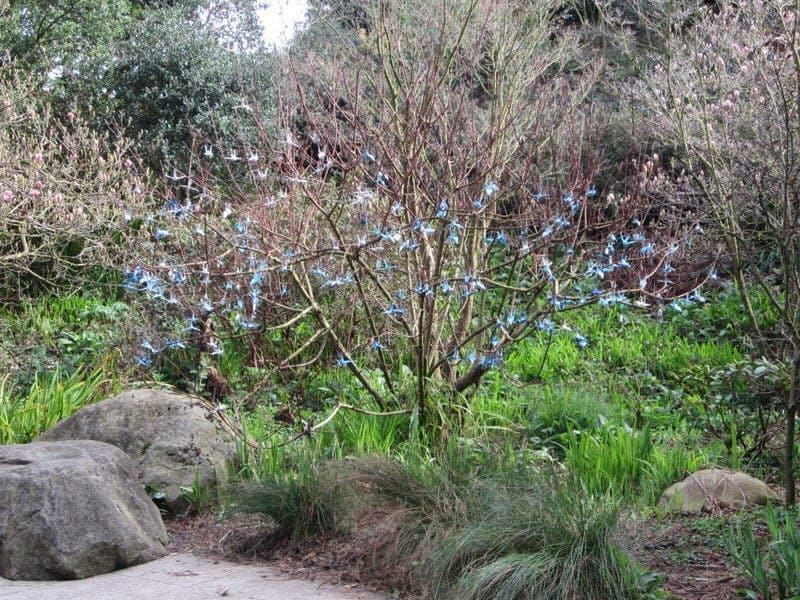 The 55-acre San Francisco Botanical Garden includes over 50,000 individual plants from around the world, with a particular focus on Magnolia species, high elevation palms, and cloud forest species. If you like Japanese plants, the Japanese Tea Garden is sure to be on your list. However, you don’t need to pay to see some great flowers as there are many free gardens throughout the park. Roses at the Rose Garden, tulips at the Queen Wilhelmina Tulip Garden, succulents at the Arizona Garden, Dahlias (offical flower of San Francisco) at the Dahlia Garden, and Rhododendrons at McLaren Rohododendro Dell and Rhododendron Island. 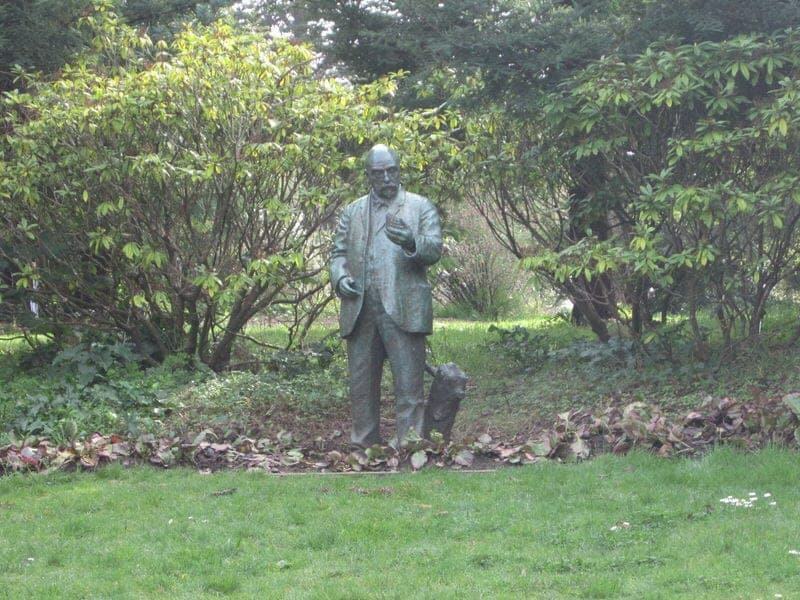 Those with an interest in themed gardens should check out the formal Shakespeare’s Garden. 7. Be a kid again. Golden Gate Park is a haven for active kids. Whether they are satisfying their scientific curiosity at the California Academy of Sciences, watching bison at the Buffalo Paddock, climbing around on one of the many playgrounds, eating ice cream, creating art at teh Sharon Art Studio, paddling a boat in Stow Lake, running wild in the grass, or taking a ride on the charming carousel built in 1914, they are sure to enjoy some time in the park. The East and Middle sections of the park have the most attractions for children. 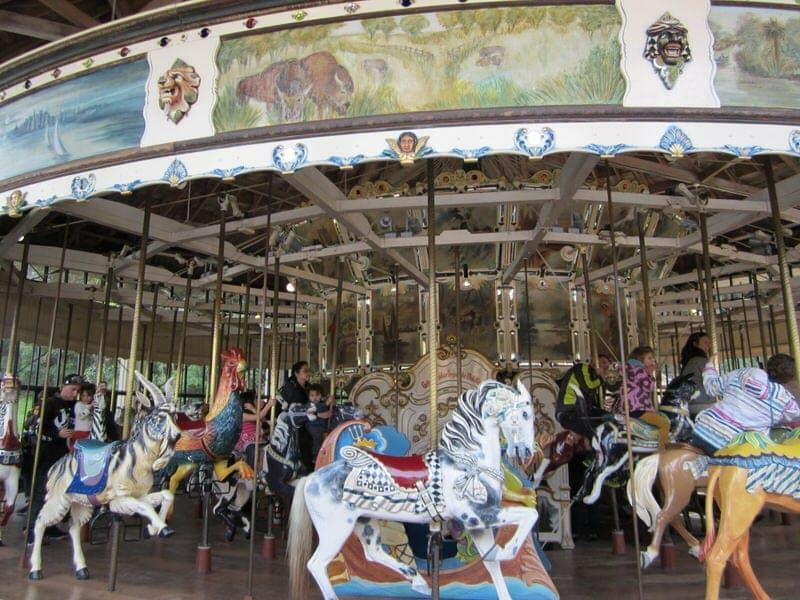 The large Children’s Playground is located next to the Sharon Art Studio Building and the 1914 carousel. There is also a picnic area and concession stand here, making it a popular destination for families. If you head to the far West side of the park, you are a short walk from nearby Ocean Beach which is a great place for some sand and swim time. 8. Check out a local event. There is almost always some special event taking place in the park and you should take a look at what is happening at Golden Gate Park during your visit. You can check here and here as well as local flyers and newspapers. While some events charge admission, many are free of charge. You might find yourself joining the locals for a music concert, an outdoor yoga or Zumba workout, a guided nature walk, a Little League championship, an art class or science lecture, an outdoor movie, or even a free fly casting lesson. Golden Gate Park is a great place to be active and if you can think about a sport or recreational hobby that can be done in a park, you can probably do it here! You’ll always see people out hiking, biking, skating, and jogging, but there is the opportunity to do so much more. The park’s huge size allows it to sport everything from baseball diamonds, fields for rugby, football, and soccer, a roller skating area, basketball, volleyball, and tennis courts, indoor and outdoor handball courts, and an archery area. 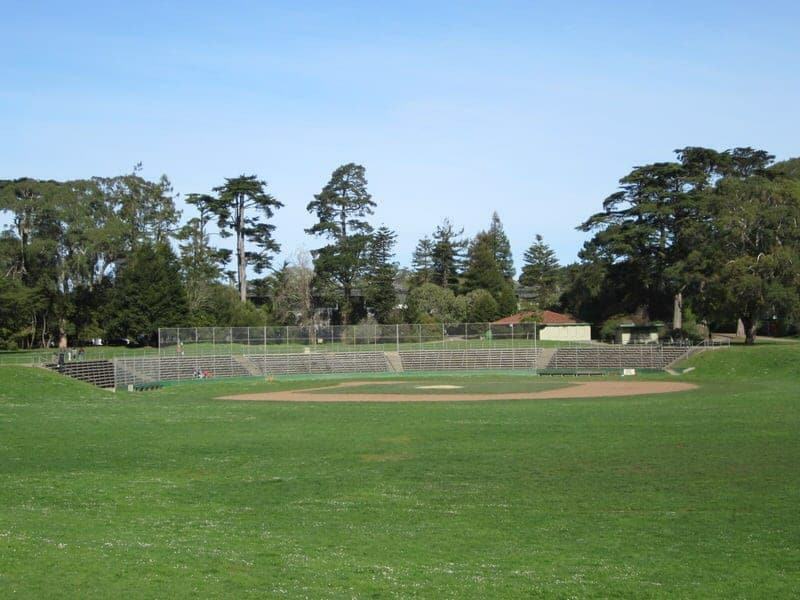 In fact, Kezar Stadium in Golden Gate Park was once the home stadium for the San Francisco 49ers football team. 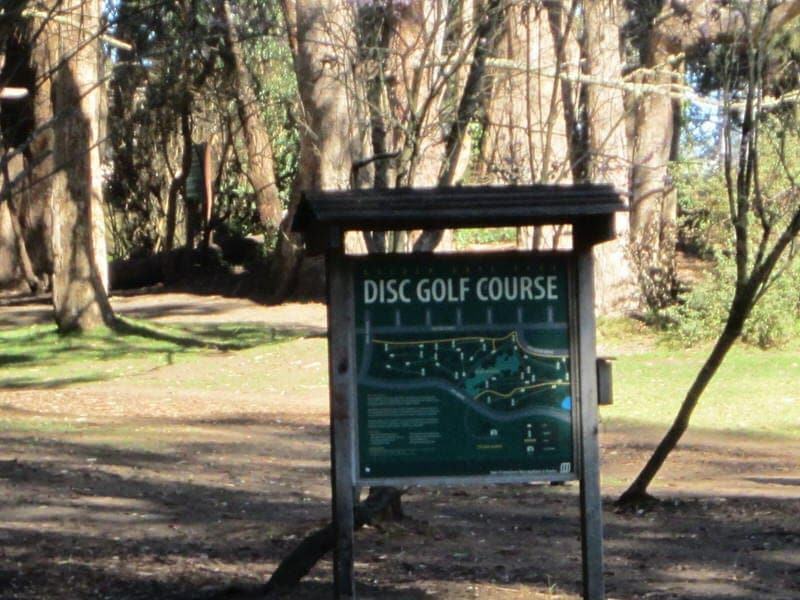 For those looking for more low-key activities, the park has some impressive areas for lawn sports (bocce ball, petanque, and law bowling), horseshoe pits, a disc golf course, and even a 9-hole public golf course. You can even do some fly casting at the Angler’s ponds. If you’re wanting to get on the water, you can rent paddle boats, row boats, and canoes and spend a relaxing afternoon paddling around pretty Stow Lake. For those with four-legged friends, you can bring your dog to the dog runs or your horse to the bridle paths. 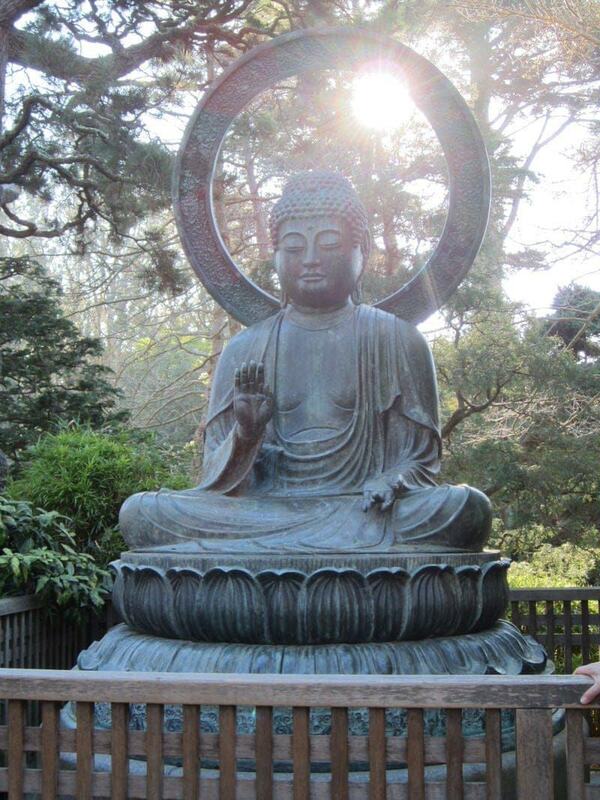 ,The Japanese Tea Garden is the oldest public Japanese garden in the United States with colorful Japanese pagodas, stone lanterns, stepping stone paths, native Japanese plants, serene koi ponds, and a zen garden. If you visit, make sure you read about its history and the sad story of its caretaker Makoto Hagiwara (who interestingly is also credited with introducing fortune cookies to the U.S.). The garden makes for a nice visit any time of the year, but we think the best time to visit is in the Spring when the cherry blossoms are in bloom. After walking around the garden, take some time to just sit back and relax in the peaceful setting with a cup of Japanese tea at the tea house. The tea house also serves light snacks and other refreshments. Have questions about what to do in Golden Gate Park, ask away! If you’ve visited Golden Gate Park, what is your favorite thing to do? I’m planning a four day trip to SF. Would like to see the GGB and GGP. Is it possible to do the two in a day? Also want to fit some of the other points of interest in 4 days. An inexpensive place to stay is the Fisherman’s Wharf Hostel at Fort Mason in one of the private rooms (no private bath; shared bath with dorm stayers), but with a spectacular view of the Golden Gate Bridge. The walk to Ghirardelli Square and the cable car stop near the Buena Vista in the spring is lovely with wild flowers blooming along the path on one side and Pacific Ocean views on the other. In the summer, spring, and fall there are usually lots of food trucks parked in front of it, some with truly great food., and FREE parking for your car, too! Greens Restaurant is down just a flight of stairs from the hostel. Reserve as early as possible.. Thanks for the recommendation Mary! I have never stayed here but sounds like it is in a central location for those looking for a hostel in the Fisherman’s Wharf area. Free parking is a hard thing to find in SF for those with a car. I just love San Francisco and I can’t wait to be there soon. Reading your posts really made me smile a lot today because I remember the fun moments I had there with my friends but right now, I want to go back to that place and bring my whole family there. I’m excited to share a romantic experience with my husband there and have happy moments with my kids as well. Thanks for sharing this post! Hello April, glad that this post brought back so many great memories for you. Enjoy your upcoming trip to San Francisco! Okay, I had no idea Golden Gate Park was bigger than Central Park! I have definitely not explored all of it. And I love the Academy of Sciences – I used to work for a gifted program at UC Berkeley over the summers, and we always took the students to the Academy of Sciences. It never gets old! There is so much to see and do. Yes, I don’t think most people in the area have actually fully explored GGP. It really is a great place with so much stuff to do and see. Off to read about your Segway tour, those things scare me! But I imagine it’s not bad at all. Hi Angie, so that would be a lot (Monterey/Carmel and San Fran) for a 3-day weekend – I would advise to just choose to spend your time all in San Fran or all in Monterey/Carmel as both places have much more than a couple days worth of stuff to do. We’ve done several weekend trips to the Monterey/Carmel area and still keep going back and discovering new things. 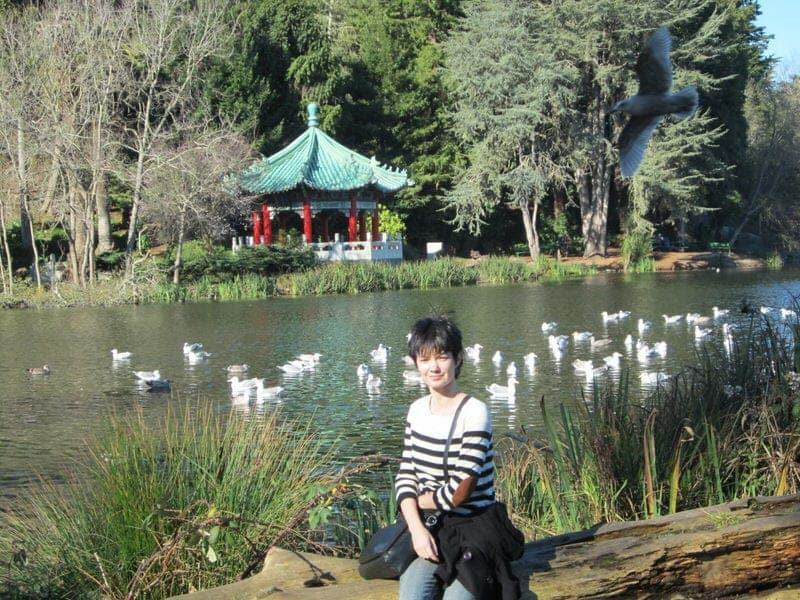 If you’ve already done some of the major tourist stops in SF already, Golden Gate Park is a great place to spend half a day or more:) Feel free to contact me if you have any questions, have a great trip! Great ideas. I’ve never even thought to spend so much time in the park. I’m always rushing through to get to the museum or whatever else I had planned…It looks like a great place to relax. Yes, on our first and second visit that is exactly what we did as well. We walked directly to the Music Concourse area and just visited the museums and main attractions. Then I started hearing about all these other really interesting things in the park (buffalo, giant cross, lakes, carousel, tulip garden, disc golf course) and just had to start exploring! We were shocked how long it took us to walk from one side of the park to the other. Wow! Never seen an albino alligator, looks like something extraterrestrial. Are they common in the U.S.? Hi Illia! Yes, it is quite an odd looking gator. No, like most albino animals, albino alligators are quite rare. 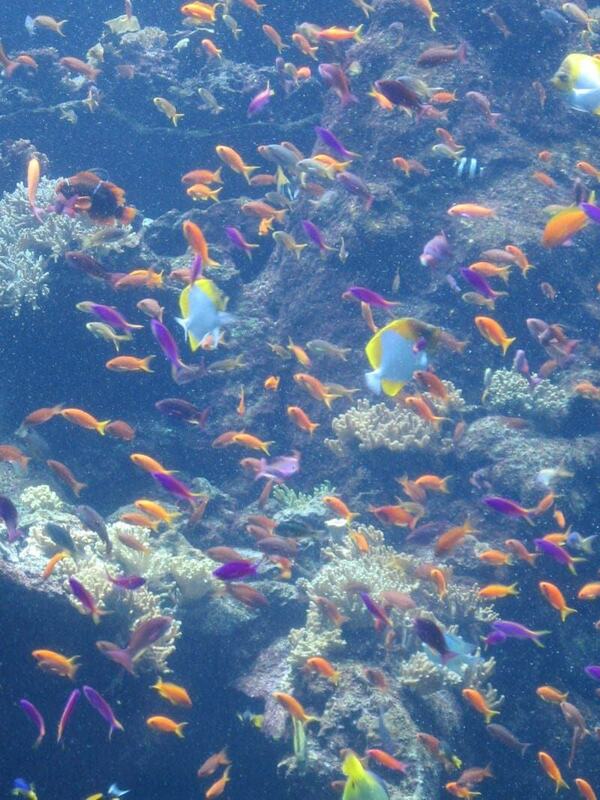 Almost all live in captivity as they are usually eaten in the wild since they stand out so much. Claude is quite unusual and is by far the most popular resident at SF Academy of Sciences! This looks like so much fun! I am hoping to make it to SF sometime this year! Thanks for stopping by Zhenya, hope you get to SF this year. Feel free to contact us for tips as we just live south of SF. What a beautiful place. So much to see and do. 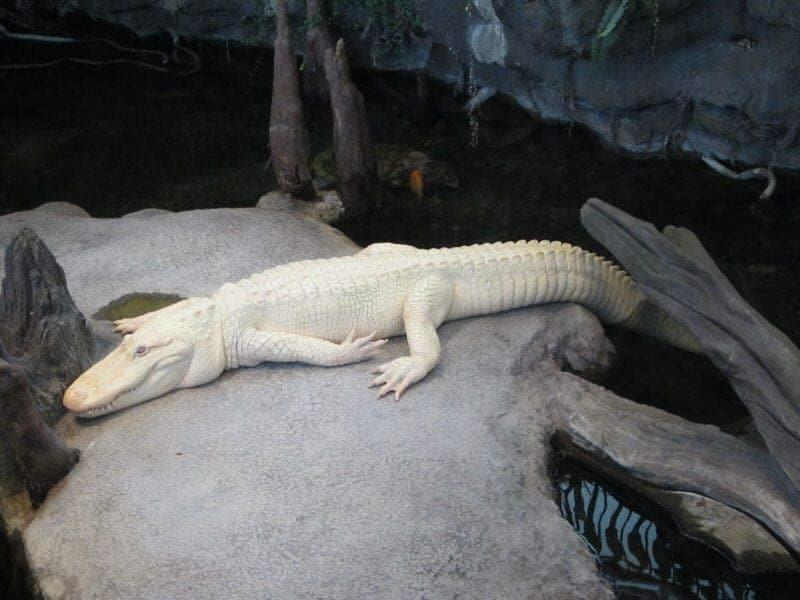 The albino alligator is fascinating! I would love the fine art museum. I love Claude the albino alligator. The last time I was there with my family, one person thought he was fake as they could not believe there could be white alligators (it also didn’t help much that he was not moving). It’ll be sad when he passes, as he is a favorite with visitors to the Academy of Sciences. This list is so great! I was already excited about Golden Gate Park from your previous post, about the Segway tours. Can’t wait to visit next time I’m in SF! It’s a fun place and a place that tourists and locals can equally enjoy. We end up there quite frequently when in the city. I used to live in Fairfield from 99 to 2001. I loved Northern CA and literally cried when I left. But the entire time I was there I never knew about Golden Gate Park. Thanks for sharing those pics. We have not spent too much time in Fairfield other than the Jelly Belly Factory visit:) You’ll have to come back and spend some more time exploring all those places you never got around to seeing when you lived nearby. 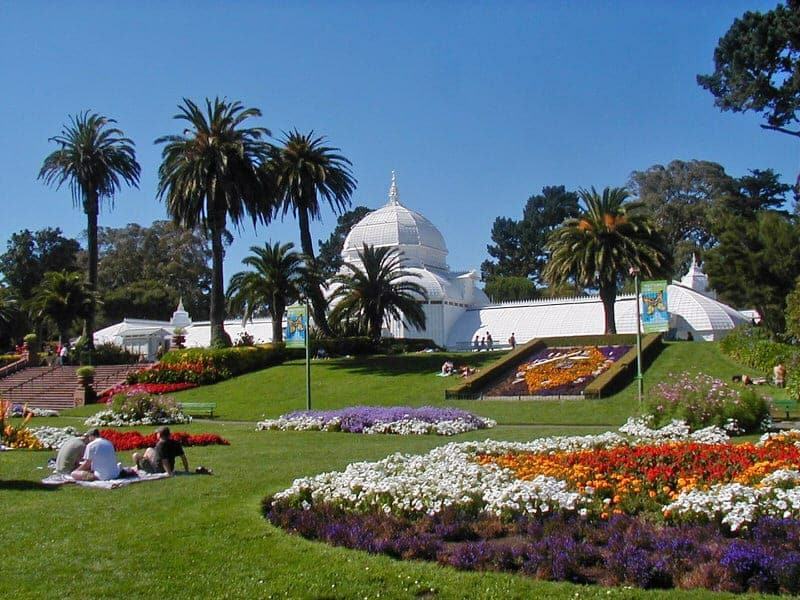 Yes, there is so much do in the Sf Bay area, and attractions and events in GGP could keep you busy for awhile. They host a number of music concerts over the year in the park, even some free ones (these are very crowded though). 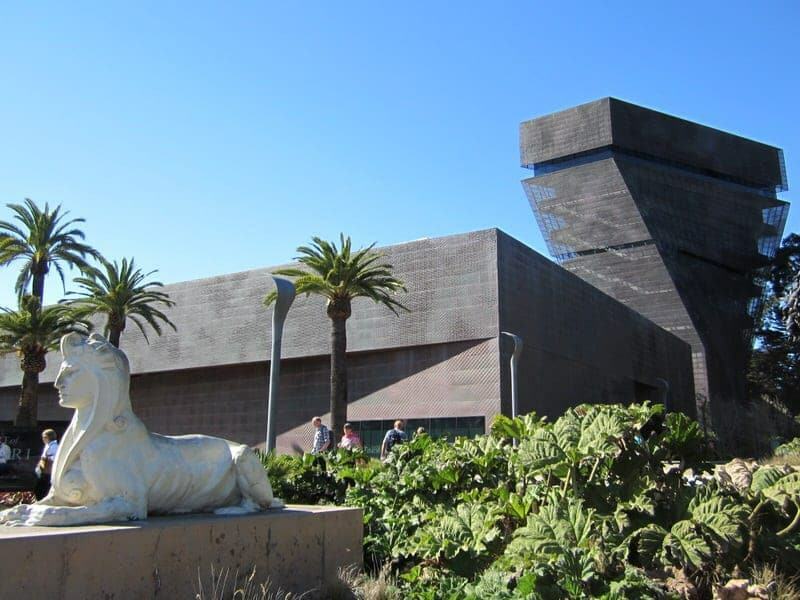 The evening programs offered at both de Young and Academy of Sciences are fun for adults. What a great list and I’ve pinned it to my Places I Want to Go board because it is on my list of places to visit. Thanks for pinning our article! I hope you get a chance to visit soon. I had NO idea there was a park like this in San Francisco.. I suppose I just imagined it would be a busy California town with surfers and hippies all over the place HAHA! 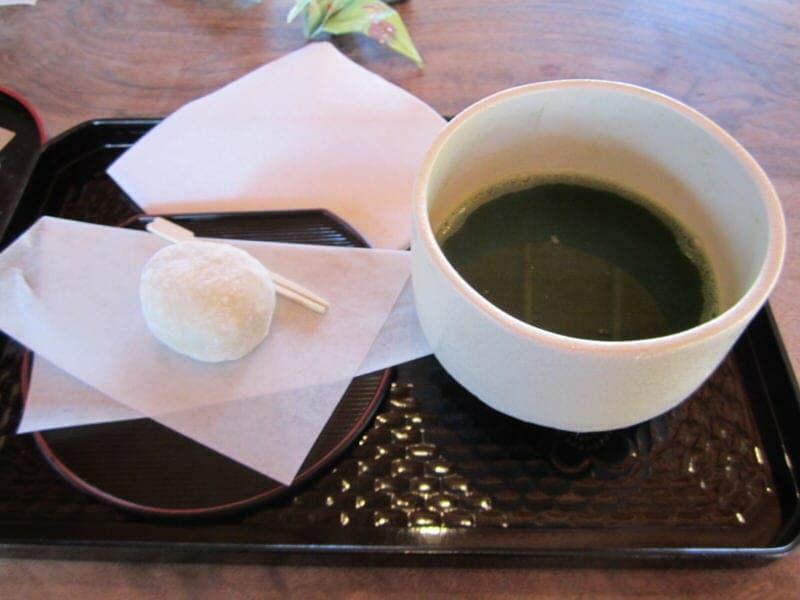 I love tea and am a huge fan of Japanese traditions and history. This sounds like another place to add to the bucket list! Aside from stopping by simply to read up on your latest post, I wanted to let you know I’ve nominated you for The Liebster Award 🙂 You’re truly one of my favorite blogs and I love your pictures and descriptions of the places you visit. Thanks for writing and keeping me inspired to travel and live life without boundaries! Hi Jen, yes the park is huge and there are several green spaces in San Francisco! Thanks so much for your comment and for the blog nomination! I am very touched that you enjoy reading our little travel blog so much! We greatly appreciate you and all our readers so much! Thanks Iva, I hope you make it to SF soon. It is a great place to visit! I was born and raised in San Francisco, and spent many happy hours with my parents exploring the park and all it had to offer. I came to know most every drive and back-way in the park, as my father had lived in SF since he was a boy of 11, arriving with his family in 1907. The Park, with its many roads and byways, as well as nearby Great Highway; Sloat Blvd. ; and Point Lobos comprised much of my training ground when dad was teaching me to drive. Using the shortcuts through the park from the GG Bridge was also among the things Dad taught me; better than standing in line all the way out Lombard to Van Ness! I absolutely LOVED the planetarium shows. Interesting that it’s gone digital; I recall that big hulking projector in the middle of the theater that blocked the view of the other side. I also loved the rest of the academy, and could sit mesmerized for an hour watching for the pegs to fall under the Foucault Pendulum! I loved scrambling over the Moon Bridge in the tea garden, and watching the model boats on Sprekels Lake. Stow Lake used to have electric motor boats for rent: they were a joke. You could walk faster, and even beat them with a rowboat! Sadly, all the renovations that have been done to both the Academy of Sciences and the De Young Museum, have raised the price to prohibitive for all but the well-to-do. When I was a child, it was all FREE! In my adult years, I enjoyed going back many times, and taking my own kids to see all the neat things there are to do. We used to get season passes to the academy. With all my knowledge of the Park, however, I never knew there was an actual golf course within. I wonder if that is newer than the 1980s? Learn something new every day! I used to live near Golden Gate Park, and I can tell you all of its beauty and all the places to visit and enjoy its peace and quiet. Great post!